In Iowa, you may name the person who will carry out your funeral arrangements. You can also provide detailed instructions about your final wishes and set aside funds to cover your funeral expenses, including the costs of burial or cremation. Who Has the Right to Make Funeral Arrangements in Iowa? You can download a free Iowa declaration from the website of the Funeral Consumers Alliance. For information about making your health care power of attorney, see Iowa Living Wills and Durable Powers of Attorney for Health Care. To make a durable power of attorney for health care that automatically includes an official Iowa funeral arrangements declaration, you can use Nolo’s Quicken WillMaker Plus software. If you are in the military. If you are in the military, you may name the person who will carry out your final wishes in the Record of Emergency Data provided by the Department of Defense. Who Pays for Funeral Costs in Iowa? The National Funeral Directors Association reports that the average cost of a funeral is more than $7,000. This figure doesn’t cover many common expenses such as cemetery costs, markers, flowers, or obituaries. For many people, after a house and a car, funeral goods and services are the most expensive thing they’ll ever buy. It’s wise to make a plan to pay for these costs. Paying in advance. If you want to pay for your funeral arrangements ahead of time, make sure you’re dealing with a reputable funeral establishment and clearly document any plans you make, so your survivors can easily carry them out. Though the law requires providers of funeral goods and services to carefully manage your funds (see, for example, Iowa Code § 523A.201), abuses do happen. What’s more, if a funeral establishment goes out of business, your careful planning may be lost. Beyond simply naming a representative to carry out your final plans, letting your survivors know what kind of funeral arrangements you want -- including your wishes for ceremonies and whether you want to be buried or cremated -- will save them the difficulty of making these decisions during an emotional and stressful time. 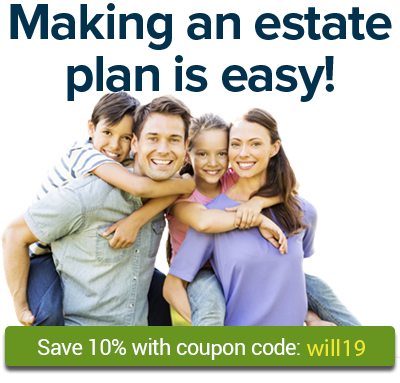 You may attach your detailed final wishes to your Iowa declaration form or to the durable power of attorney for health care that includes the declaration. Quicken WillMaker Plus can create a final arrangements document for you. The software program asks you questions about your wishes and then produces a detailed document you can give to others. As mentioned above, you can also use the program to make a durable power of attorney for health care that includes the appointment of your agent to make final arrangements, in accordance with Iowa law. To find the rules covering funeral arrangements in Iowa, including consumer protection information, visit the website of the Iowa Funeral Directors Association. For details on the rules that control disposing of remains in Iowa, see Burial and Cremation Laws in Iowa.